Summary THE RED TURTLE is an animated fantasy film in which a man shipwrecked on a deserted tropical island encounters a giant turtle with a red shell. 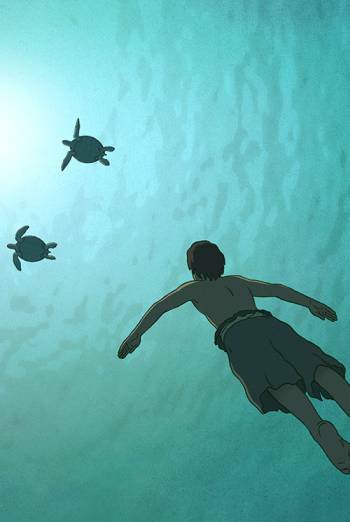 THE RED TURTLE is an animated fantasy film in which a man shipwrecked on a deserted tropical island encounters a giant turtle with a red shell. Moments of mild threat include a man struggling to remain afloat in a stormy sea, a man attempting to swim through a very narrow passage in the wall of an underwater cave, and characters threatened by a fast-approaching tsunami. Other issues include brief mild injury detail (the sight of blood on a woman's leg).